The Company’s strategy is to leverage the Board’s extensive oil recovery experience and capability to develop international onshore properties that create shareholder value. In Trinidad, the Company’s interests in approximately 90,000 gross acres of exploration and development rights make it one of the largest independent onshore oil producers in Trinidad. 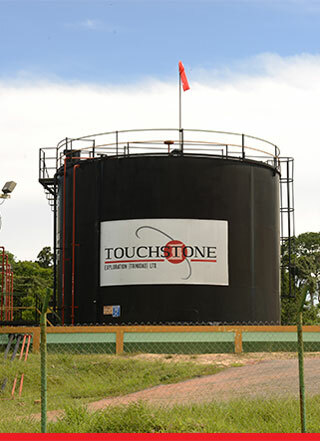 Touchstone holds over 8,700 working interest acres of onshore producing properties that have known crude oil reserves as well as over 55,000 exploration and undeveloped working interest acres that are being evaluated. Outside of its core Trinidad portfolio the Board continues to examine opportunities in jurisdictions that have stable political and fiscal regimes coupled with large defined original oil in place. All members of our Board are elected by a shareholder vote. Our management team exercises strong values and integrity in all avenues of our business. Our corporate governance facilitates effective, innovative and prudent management that delivers long-term success.